Getting on the top, our company proprietor Mr. S. Pandurangan has been awarded as "The Gold Star Millennium Award" by National Integrity Cultural Academy and The Peak Magazine on Feb 13, 2011 at German hall in Chennai. At this moment, we put into words our delight to all our clientele, friends and our band. We are always being emerged by you on progress. Thank you for your attachment. More over, Ruei Industries as well has been awarded "Rashtriya Gaurav Award" for Quality and Business Excellence 2010 from The Economic and Human Resource Development Association. 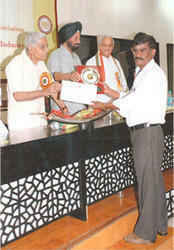 We collected this prestigious honor on May 16, 2011 in New Delhi award ceremony held at Speaker Hall, Constitution Club, New Delhi. At this moment, we thank our all customers and well wishers. This heightens to us to step up. 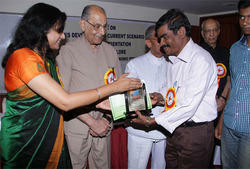 S. Pandurangan has been honored with Mother Teresa Excellence Award for meritorious achievements in diverse field of activities that immensely contributed for the progress of the society at a seminar on India’s Development Current Scenario held at Bangalore on 25th March 2012.